I’m on the hunt for more fitness at the moment, and with that in mind I managed to drag myself out of bed at 7am. 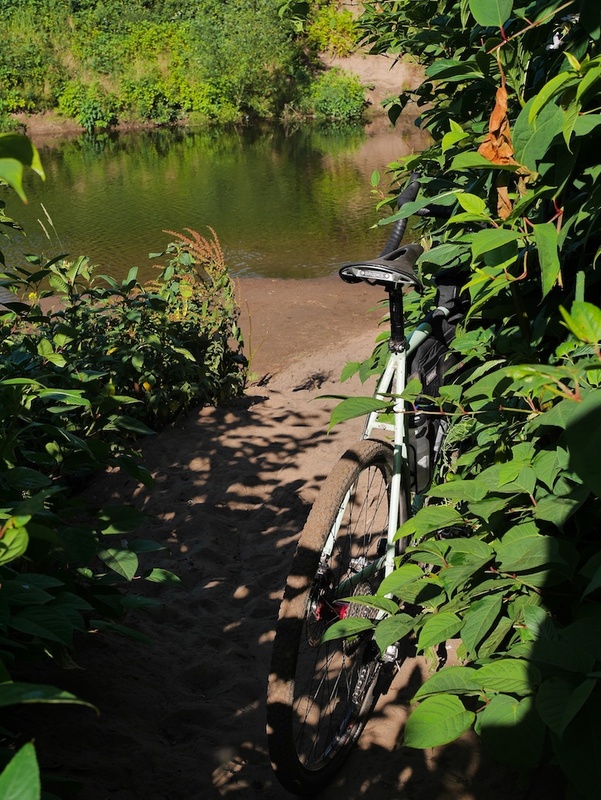 If I fancy doing a spot of riding before work I’ll often head west down the Trans Pennine Trail, to skip the rush hour traffic. 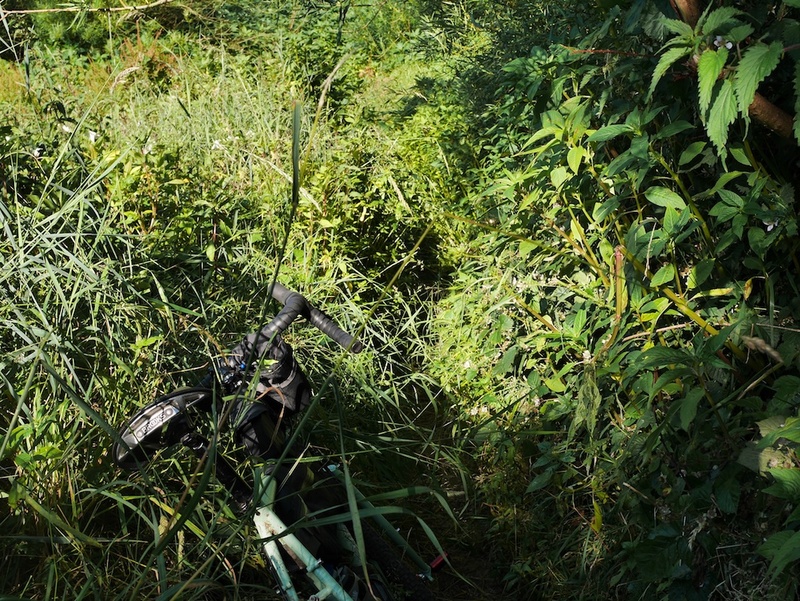 The TPT is classic “Grass up the Middle” territory, and the start of many a club ride. 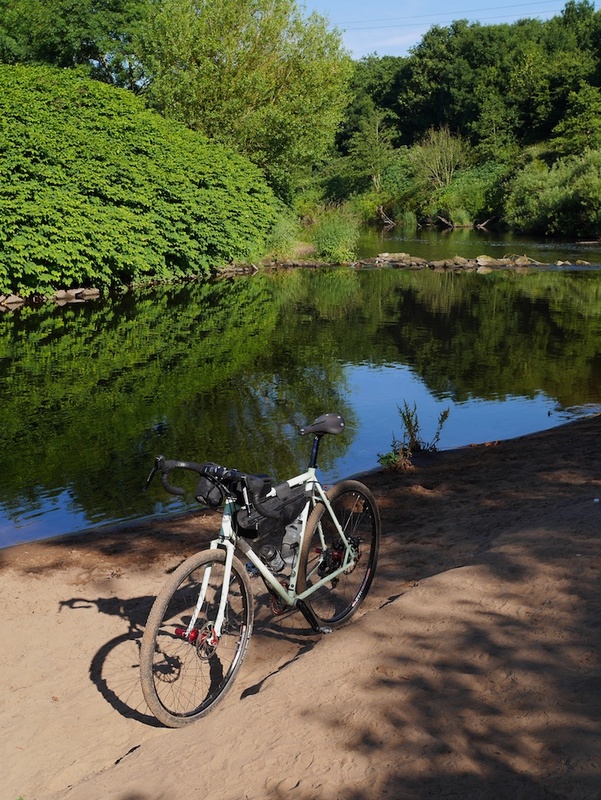 This morning I set off as usual, riding the first mile or so to the banks of the Mersey. When I reached the river I turned right, picked up the TPT, and rode out along this oh so familiar route. For some reason, this morning was different. Every time I ride this route I pass a gate. On the other side of the gate, two paths lead invitingly away into a meadow. Today was the day that I decided to see where they went. What I discovered, just a couple of miles from my house, was a vast expanse of grassland, criss-crossed with paths. The grass wasn’t just up the middle, it was as far as the eye could see. Fitness be damned, I was exploring. 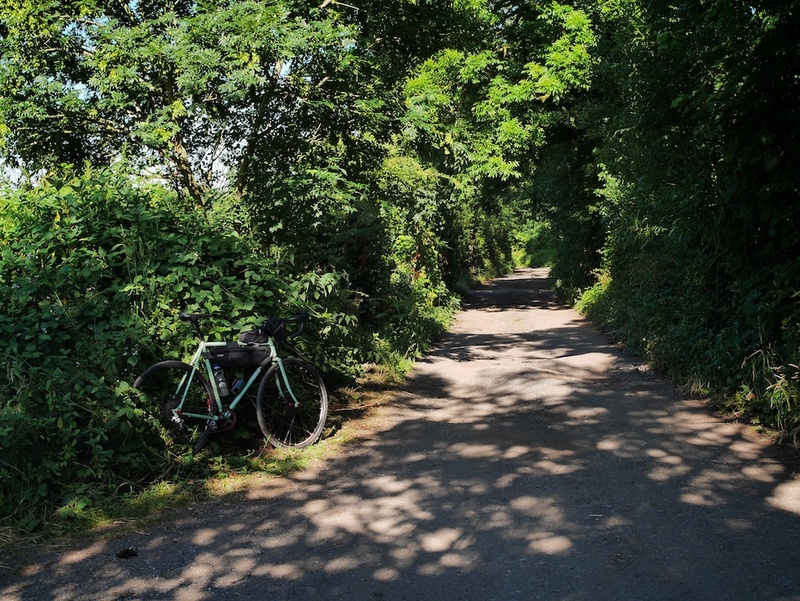 Every time I reached a junction I chose another path to head down, always choosing the one that looked least likely to take me back the way I’d come. Ten minutes later, I found myself back on known ground, back on the TPT, but having had a marvellous little pre-breakfast diversion. This set the scene for the rest of the ride. This whole “get fit” malarkey had gone up in smoke. Dicking about in the woods (no Steve, not like that!) was much more fun. The TPT runs along the banks of the Mersey for a bit, then cuts left over a bridge at Ashton Weir. This morning I ignored the bridge, and carried on along the river. 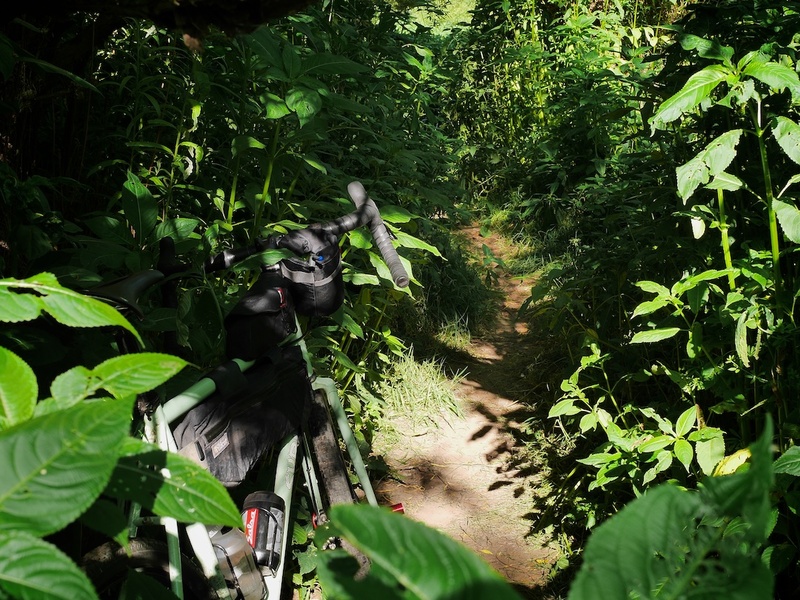 I rode through woods and grassland, ducking under low branches and brushing through overgrown foliage. When I encountered a fork in the path, I chose left/right according to whichever looked the most inviting. 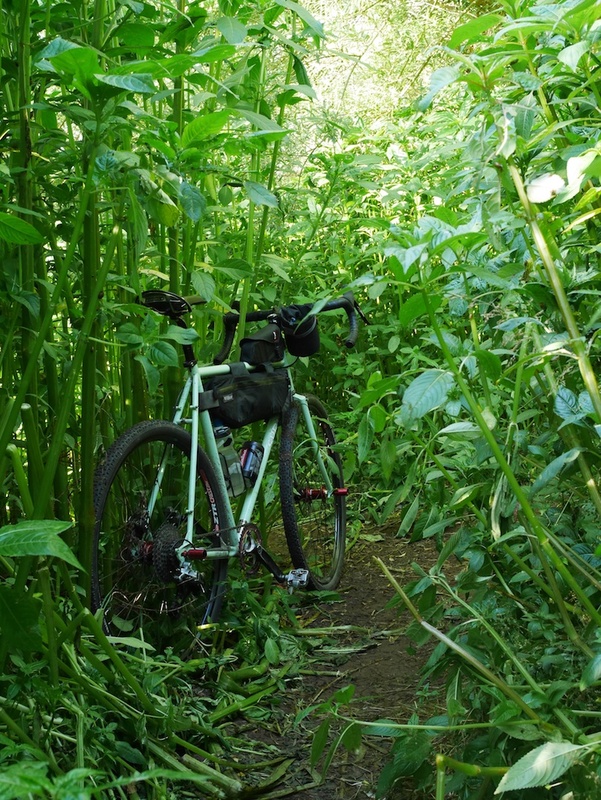 It wasn’t long before I was on overgrown singletrack. And I was having a fantastic time. How can I have lived here for six years, and never discovered this? 11 year old BMX-loving-me would have found this within a week of moving in. After a mile or so of winding my way through 8 foot high foliage, the path I’d chosen popped out here. 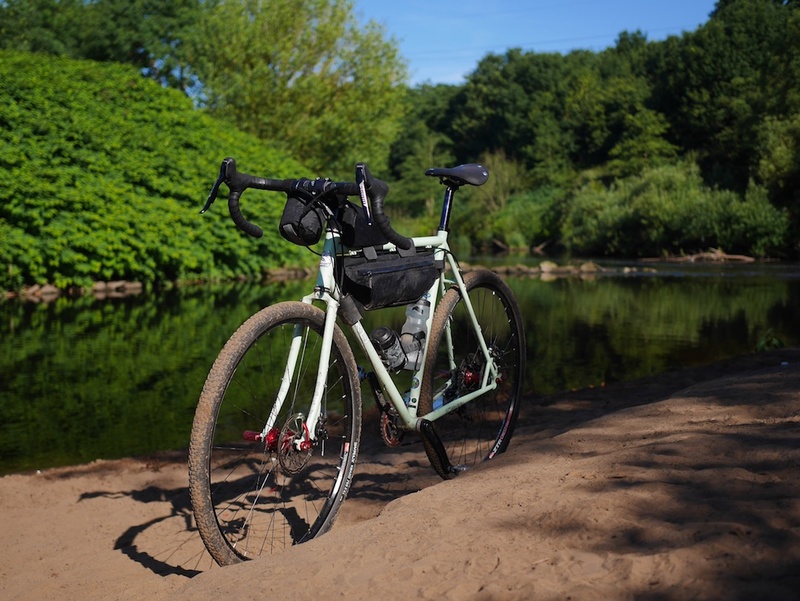 Given that I was only really here because the Surly Straggler is so perfectly suited to rides like this, I decided it was time to take a photo of my bike (thus far, it had only accidentally crept into the corner of a few photos). If it wasn’t for the midges, this would be a superb spot for a coffee. And if I thought I could find it again, I’d probably head back there next week. 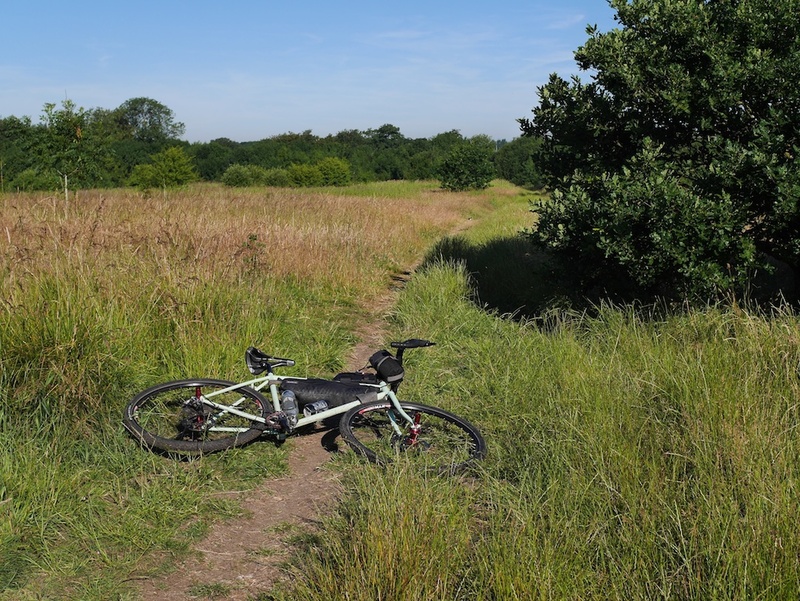 After I got back on the path there was more meadow to enjoy, until the path ended and the gravel began. I finally popped out in Urmston, ejected from this leafy paradise into the morning commute. Luckily I only had to put up with it for 100 yards before whizzing off down another gravel track. I made my way home along the (oh so familiar) banks of the Mersey, reflecting on how adventure isn’t about where you go, so much as what you choose to do when you get there.